A friend of mine recently wrote me and said that some of my blog entries lately had been "kind of down." I hadn't really thought they had, other than the one about crying watching Wilson the volleyball, but then I took a gander back at them and realized that it is possible to take away a certain negativity in them. I sat at a bar last weekend contemplating this fact as I was having a pint. The bar was called The Crown, and is just down the street from my flat. It's in a beautiful and imposing Victorian building that now also holds a hotel. 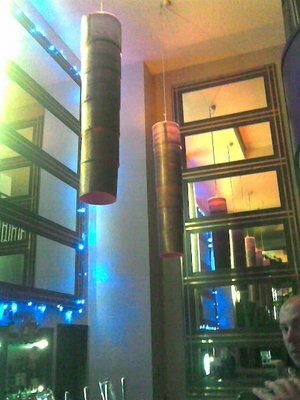 Now, I was there for about one and a half hours, sitting at the bar and drinking two pints. The place was pretty busy. On a Saturday night the "it" crowd in Cricklewood seems to make their way down to The Crown to party. 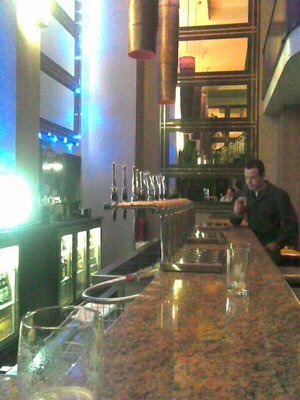 Despite there being a bar full of people, in that time, other than the bartender asking if I wanted a refill on my pint, no one talked to me. Yet, when I walked out of the pub (finishing the last of my 2nd pint on the patio out front under a cloudy but warm night sky), I thought to myself, "what a good night." 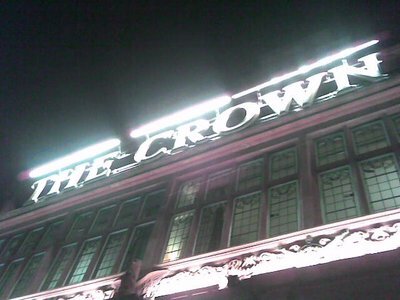 Firstly, I was awed by what an amazing place, architecturally, The Crown is. 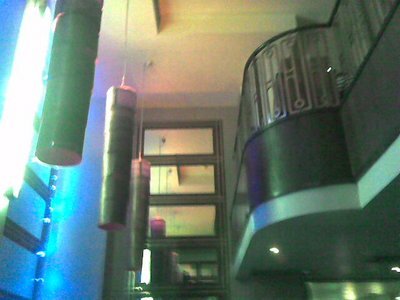 It's got an amazing two floor bar area, and the bar I was sitting at (one of, I think, 6 bars on site) rose up two floors and was backed by amazing, huge mirrors. The second thought, though, was how cool it will be once I've settled in and made some friends to have neat places like The Crown to come out to on Saturday nights. Not specifically The Crown, because I don't plan on living way out in the North-west sticks of Brent much longer, but places like it, preferably closer to The City. As I thought it over, I realized that my optimism is one of the most important things that I have here. Bad things happen, as bad things are apt to do. In fact, the bad things will at times outnumber the good things, especially in these early days of trying to build a life here. I truly believe though, that things will get better. There isn't a question in my mind that I will be successful here. That makes the tough stuff bareable. I also find that the tough stuff tends to waste away to the dark corners of my memory never to be recalled again, whereas the cool stuff - running down the escalators and feelings like I was flying, finding Roman ruins in the middle of a the business district of London, sitting in the yard of St. Paul's cathedral having lunch, even the fact that a computer crash meant free bus and tube rides things morning, those things stick in my mind, easy to recall and make me happy. It's all about looking at my half-empty pint glass and knowing that not only is it not half-empty but really half-full, that the future holds the undeniable fact that the glass will be full again. 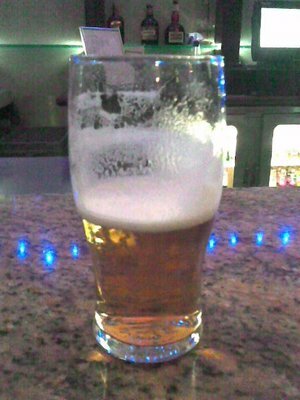 I think that a full pint glass is essential for a positive outlook on life. I think you're doing amazingly well!